Paulden is a town seated in Yavapai County in Arizona with a population of more than 5 thousand according to 2010 census. Paulden is a city without so many things to do. However, there are places where you can relax and feel comfortable while you are in this area. Locals and tourist prefer to stay in this calm and welcoming city when they want to escape from the hustle and bustle of the big cities. Living in Paulden offers residents a rural feel you can find perfect homes for your family, and most residents own their homes. If you are planning to live in Paulden, AZ and want to get a new garage door to perfectly match the style of your home, call the local garage door service company which is A1 Garage Door Service. 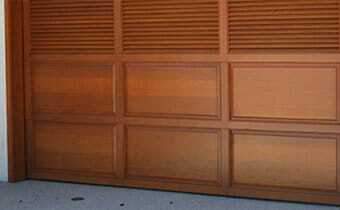 Call us today and let us help you with your garage door projects. When it comes to garage door service industry in Paulden, AZ, A1 Garage Door Service is consistently on top. We provide services that are ahead of others. We want our clients to be comfortable with our service and trust us so we strive to do our best to ensure your satisfaction before leaving your home. When the company started its business many years back then, we already felt the support, trust, and loyalty from the people of Paulden. By writing positive comments and high ratings on several online review sites, clients show their satisfaction and appreciation to our works and products. At A1 Garage Door Service, we prefer to use only premium garage door products, garage door openers, and its hardware on our works. This is to ensure that you are only going to get the best products available in the market. In fact, we even partnered with the leading manufacturers in the industry to make this happen which we think is one of the best decisions we’ve done for the business. This is because we are able to sell our products at a price lower than the price they are being sold by our competitors. Also, it allowed us to be in partnership with these leaders who have the same goal and mission that we have in the business which is to provide only quality product and world-class services for the customers 100% satisfaction. For added trust, we even offer these products with excellent terms and conditions and warranties that extend to lifetime warranties on selected doors. Aside from sales and installation, A1 Garage Door Service also specializes in the maintenance service and repairs of all kinds and types of the garage door in both commercial and residential areas. To make you happier and fully satisfied, we added Free services to our offers such as estimation and professional advice. Isn’t cool and satisfying? But wait, there’s more! We also have promos and discounts that are available every single day. So better to grab the opportunity now! Remember, for all of your garage door service needs, call A1 Garage Door Service.